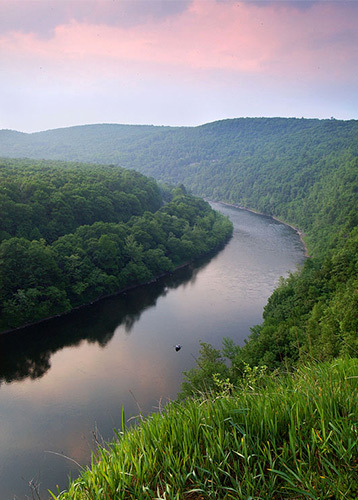 May 26, 2015 the Delaware Riverkeeper Network received notification that a SLAPP suit was being filed against it by a real estate developer and a group of landowners who have all leased their land for gas drilling. The developer’s lawsuit was filed in retaliation for the plaintiffs’ opposition to a pro-drilling ordinance that allows drilling, fracking and associated infrastructure in over 90% of Middlesex Township, including in residential communities, agricultural districts, and within a mile of the Mars Area schools, which range from elementary to high school. The SLAPP suit seeks damages of over $245,000 from the Delaware Riverkeeper Network, Clean Air Council and the 5 residents. The challenge to the ordinance in question was filed on October 10, 2014, by the Delaware Riverkeeper Network, tThe five Middlesex Township residents, and Clean Air Council. We filed a lawsuit challenged the zoning amendment for removing core protections to residential neighborhoods from dangerous industrial activities; for violating the environmental rights amendment of the PA Constitution; and for failing to protect public health, safety, and welfare by allowing shale gas extraction, drilling, and gas infrastructure to occur so close to where children, families and residents live, learn, work, and play. The developer and landowners who brought the SLAPP suit (in a legal action titled: Dewey Homes and Investment Properties, LLC, et al. v. Delaware Riverkeeper Network, et al.) are seeking personal gain, but to get it, they expect their neighbors and their community to sacrifice their quality of life and the health of the environment. What’s worse, this lawsuit, if successful, also has the potential to limit free speech about the harms associated with fracking and shale gas development. This lawsuit is a tactic called a SLAPP suit. SLAPP stands for “strategic lawsuit against public participation.” Those suing the Delaware Riverkeeper Network, the Clean Air Council, and the Middlesex Township residents are seeking to silence our opposition. This lawsuit is an attempt to shut us up, to get us drop our challenge, to make us go away. Moreover, SLAPP suits are often brought by special interests with the intention of draining the limited financial resources of those they sue. Dewey Homes & Investment Props v. Delaware Riverkeeper Network et. al.